America’s best manufacturers demand precision tool and die making services from their toolmakers. At Toolmasters, precision is our most important consideration. Our commitment to affordably priced, precision tool and die making assures your productivity, quality, and economy. We continually exceed our customer’s requirements by providing leading-edge design and consistent top quality production completed with on-time delivery. Our reputation for tool and die making stems from nearly four decades of experience working with our nation’s top manufacturers. 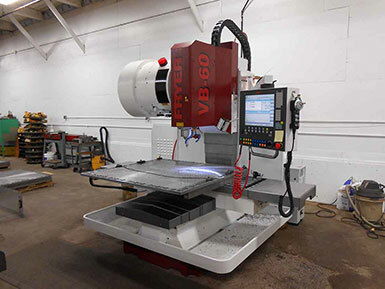 A mid-sized tool and die shop, Toolmasters has the capabilities to handle dies weighing up to 5 tons. Although we offer most standard tool and die shop services, our design and build of new tooling puts us at the top of our trade. Because all dies are custom ordered—unique to themselves, the innovative ideas of our experienced die designer create the finest tool or die you can acquire. From the part print to the finished part, Toolmasters Inc. has the ability to build your tools completely in-house. After nearly five decades of working with the nation’s top manufacturers, the once small tool and die shop has grown into a first-class precision tooling company. 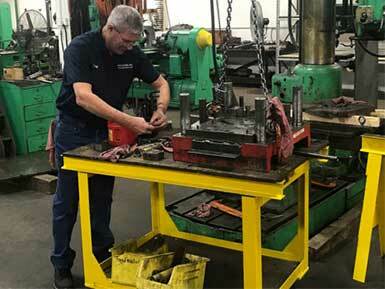 The Toolmasters team has earned a position as a preferred supplier in a markedly diverse customer base, serving the tool and die making needs of industry throughout the nation. An effective tool for short part runs, the compound die allows you to cut both the internal and external aspects of a part in one press stroke, producing the finished part in a single station. to the normal die taper and land configurations, we can do it all. Contact Toolmasters today.ng the heat from the sparks. Toolmasters has been our ‘go to’ source for our medium size Stamping Dies with above average complexity and precision since 2005. Overall service is excellent and the tools are very high quality. Quick response time on quotes, excellent collaboration on design, in-house tryout, and prompt delivery. Great group of Toolmakers to work with having many combined years of ‘hands-on’ Tool & Die experience! No matter how simple or complex the tool or die, we use the latest high-tech equipment to produce your tooling. 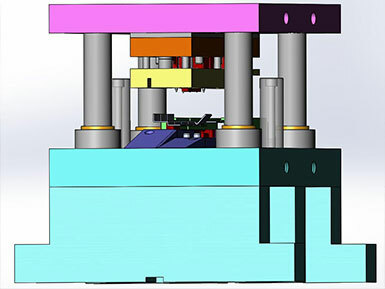 Our in-house CAD design, jig grinding, CNC 3D machining, multi-hole drilling, and wire EDM services guarantee the precision you require. If anything, we probably build our dies to higher standards than our customers order, generating the maximum value for the dollar.